of tacos, enchiladas, burritos and such. Beyond knowing that May 5th was not Mexico's Day of Independence, I didn't question much. My take was always… it’s a party. It’s Mexican food. People are happy. And all of that is good. Besides... we were never for want of a good taco. I learned sometime in my late teens that the 5th of May actually commemorates the Mexican army’s surprising victory against a much better equipped, occupying French force in the city of Puebla during the French intervention in Mexico in the late 1860’s, a much-needed morale boost to the Mexican army and, as such, seen by many in more regional locales of Mexico as a day to celebrate. My mother was born and bred in the Distrito Federal of Mexico, as she defines what others might simply refer to as Mexico City. Not only is Mexico City the capital of Mexico and the seat of federal power, it is technically not considered part of any one of the various states of Mexico. It’s its own federal entity. Perhaps it was that distinction of locale that lessened the importance of acknowledging this holiday... or the fact that my maternal grandmother was born in France! Now, well more than a hundred years later, it’s nice to just know that the divides that prompted this celebration are no more and that is certainly something to celebrate. 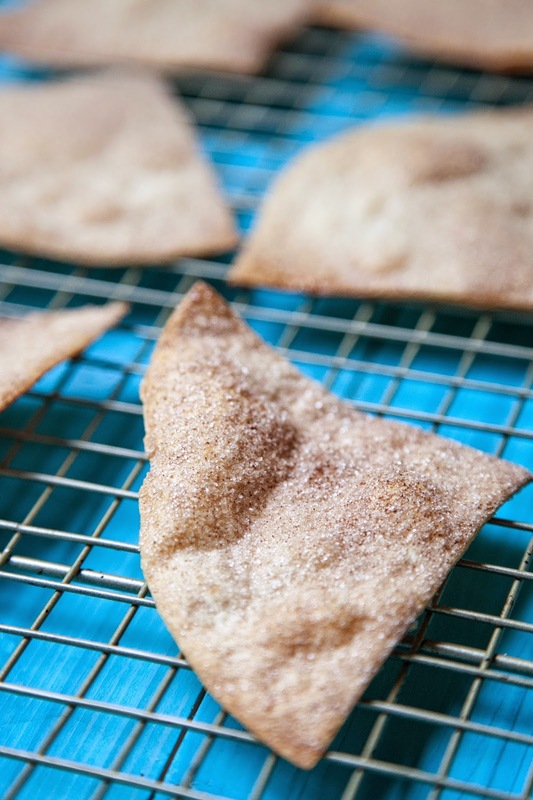 With the vast amount of tortillas that will be stuffed in various ways and forms – making tacos, enchiladas, taquitos, burritos, and the like – I’d like to think that revelers will crave a dessert that is fresh and healthy… while still delivering that satisfying end-of-meal feeling of a treat. (It's also a great brunch option!) Served with crisp baked flour tortilla chips, seasoned with a sprinkle of cinnamon-sugar, adds to the sweet celebration of flavors offered in this fresh plating. 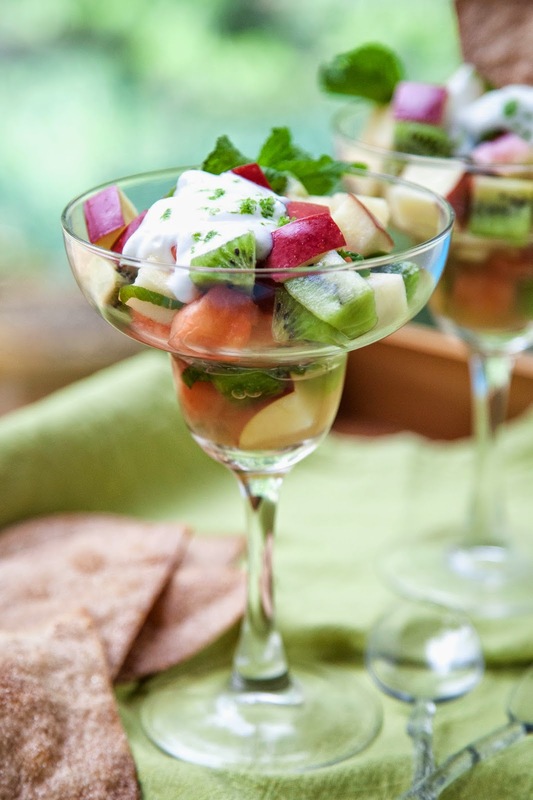 This Fiesta Fruit Salad features crisp, red Stemilt apples paired with similarly hued fresh watermelon and vibrant green kiwi... a fruity combination that gives a little nod to the patriotic colors of Mexico. Infused with the flavors of mint and a generous pop of lime zest (not to be missed on fresh fruit!!!)... 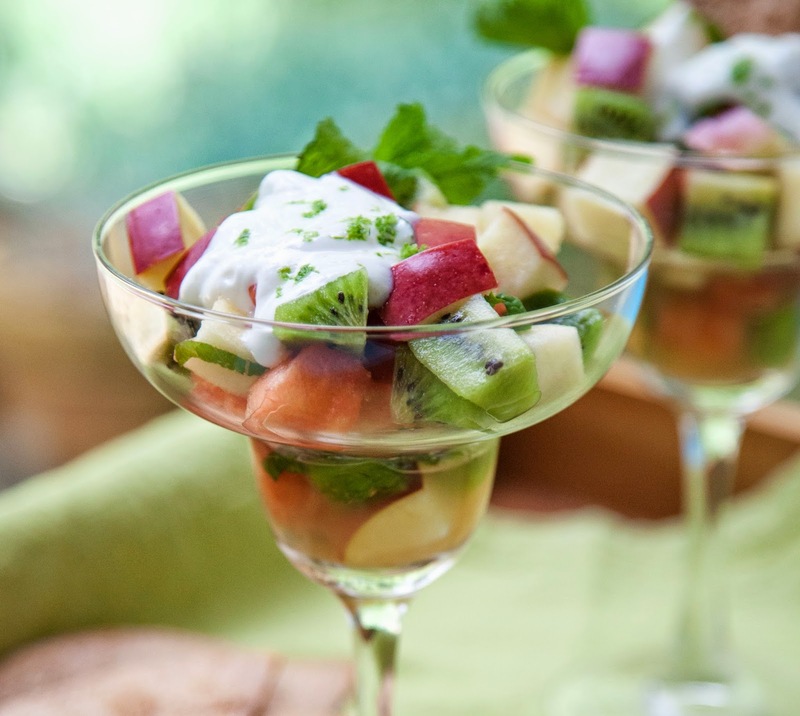 and topped with a bright citrusy dollop of yogurt, this little salad will surely please the palates of your sombrero-toting amigos. To get recipe details, visit Stemilt’s blog, The Stem. Disclaimer: While I am being compensated by Stemilt Growers as a guest contributor to The Stem, the views and/or opinions expressed are my own.